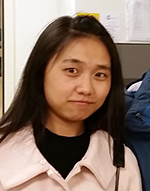 Li ShuangNan is studying veterinary sciences as part of her Master degree at the Lanzhou Veterinary Research Institute. She will stay in Besançon for an internship at Chrono-environement from October 19 to December 20. Salford University, Cestode zoonoses group (Phil Craig), University of Franche-Comté, Chrono-environment (Patrick Giraudoux and colleagues) and Lanzhou University (Jing Tao and colleagues) monitor a former hot spot of alveolar echinococcosis since more than 20 years. This year, Dr Jia WanZhong and Dr. Yan HongBin, from the Lanzhou Veterinary Research Institute joined Pr Patrick Giraudoux, Dr Eve Afonso and Dominique Rieffel with Li ShuangNan on the spot. Li ShuangNan comes at the Chrono-environment lab to train on molecular methods developed by Jenny Knapp and colleagues to detect Echinococcus multilocularis in carnivore faeces and similar techniques. Her lab work will be supervised by Dr. Jenny Knapp and Dr. Eve Afonso, respectively at the Hauts-de-Chazal and La Bouloie.